If you're tired of being tired, raise your hand!!!! 1. 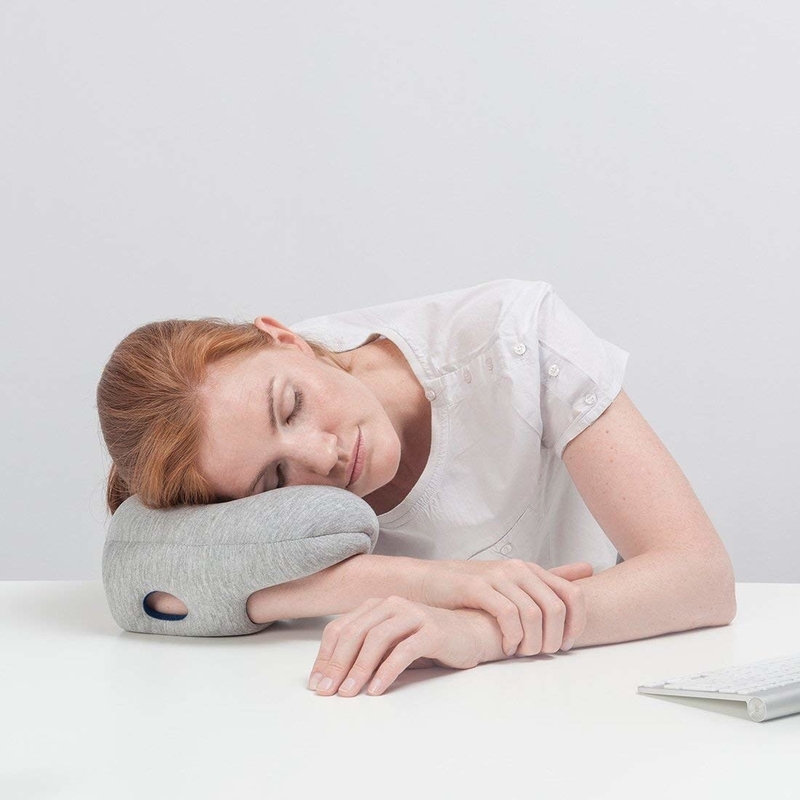 A mini travel pillow because you never know when the urge to nap will hit full force. 2. Or maybe a sweatshirt hoodie when you need a bit of coverage to prevent people from striking up conversation on public transportation. 3. Eye drops for those days when your eyes feel like literal sandpaper from staring at your laptop or phone screen for too long. These drops will lubricate your eyes, relieving burning. It can protect your eyes for up to 10 hours. 4. Eye masks to target dark circles and puffiness so Susan The Coworker can never again backhandedly ask, "OMG, are you sick? You look so tired!" 5. A caffeinated energy bar if you prefer the taste of chocolate over coffee to zap you awake. One bar is equivalent to drinking one cup of coffee, and can be stored in your desk drawer or easily carried when on-the-go. Get a pack of 12 from Amazon for $19.99+ (available in four flavors). 6. Or refreshing and energizing mints you can pop for a burst of renewed focus. They're sugar-free and leave your breath smelling minty fresh. Get them from Amazon for $4.99+ (available in five flavor and three sizes), or check out coffee-flavored gum here. 7. But if you are dedicated to java, then this mug will validate all the things you decided not to do and all the places you decided not to go to because you were exhausted. This mug is microwave- and dishwasher-safe (top-rack only). Get it from Mugsby on Etsy for $10.99+ (available in three sizes and three styles). 8. Or try this insulated mug to keep your precious brew hot or cold for hours upon hours. Get it from Amazon for $24.99 (available in 11 colors). 9. A French press that'll brew said coffee and make you feel immensely better until you need your next cup. Get a 12-ounce press from Amazon for $13.99+ (available in two colors and four sizes). 10. A lavender bath salt so you can soak your evening away after a long day of being, you guessed it, very tired! Get it from Amazon for $13.49+ (available in larger sizes). 11. 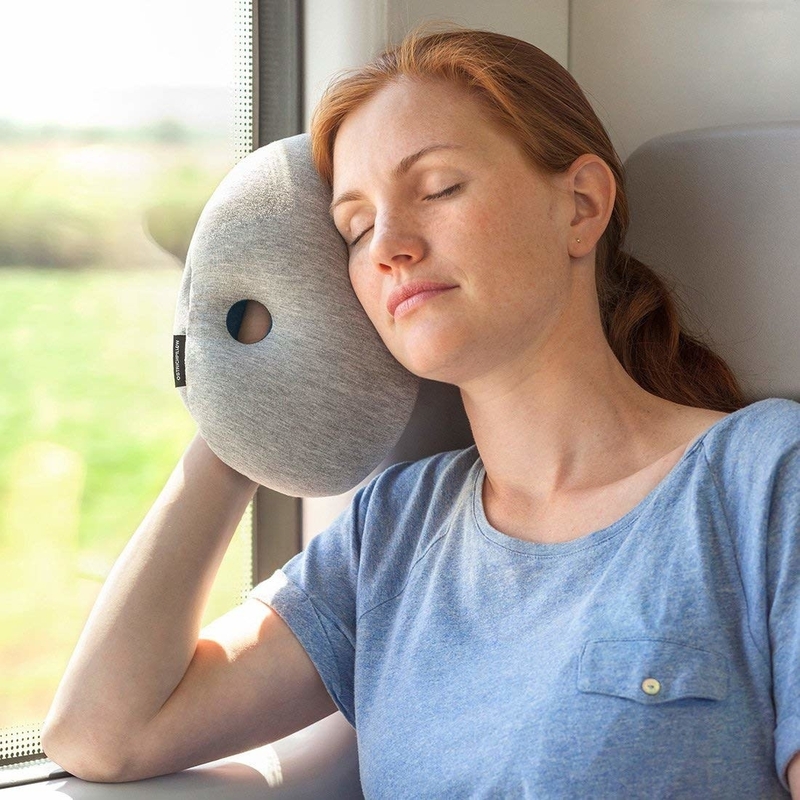 And to be totally comfortable while you turn into a prune, this bath pillow will provide the perfect place to rest your head. Get it from Amazon for $16.99+ (available in two styles). 12. An enamel pin for showcasing exactly how you're feeling so everyone knows right away to back off and not bombard you with questions the moment you walk into work. Get it from Little Goat Paper Co on Etsy for $10. 13. A diffuser to disperse the aroma of eucalyptus or tea tree once you've gotten home and can properly relax from that 8+ hour work day. This diffuser can turn seven different colors and features a safety auto-switch in case the water runs out to prevent overheating. On top of being a diffuser, it also functions as a humidifier to improve air quality. 14. And to be paired with that diffuser, this essential oil pack includes six different scents to mix and match. This set features lemongrass for calmness and clarity, peppermint for concentration and clear thinking, orange for optimism and peace, lavender for cognitive functions and alertness, eucalyptus for optimism and concentration, and tea tree for mental strength and calmness. 15. A weighted blanket that literally mimics the weight of a hug to give you a little TLC when you feel incredibly drained. Get it from Amazon for $63.50+ (available in 12 sizes/weights and seven styles). 16. A Mario Badescu face spray for mid-day hydration to help soothe tight, dry, and tired skin. Get it from Amazon for $7+ (available in five sizes). 17. Comfy leggings to make the transition from outside world to couch seamless. These were also our low-price pick for the best leggings on BuzzFeed Reviews! Get them from Amazon for $18.99+ (available in 19 colors and sizes XS—2XL). 18. A white noise machine because when you desperately need a good night's sleep, you definitely don't want your roommate's jam sesh to the ASIB album to keep you awake. Even though that album is fantastic, you need your sleep. Get it from Amazon for $44.95+ (available in four colors). 19. Or an Amazon Alexa for personalized white noise when you're tired of listening to static. I have an Alexa, and trust me, the device can do a lot. One feature that I consider to be particularly cool is the personalization of white noise. You can do this a few ways: you can select different playlists from Spotify or Amazon Prime Music, or you can enable Alexa's ambient noise skills. Once that skill is activated, you'll have the option to play 12 different noises, ranging from babbling brook to train. 20. And to supplement that white noise machine, hang these blackout curtains in your bedroom so you never have to deal with the threat of sunlight creeping in to disturb your much-needed slumber. Read our full review of the blackout curtains here! 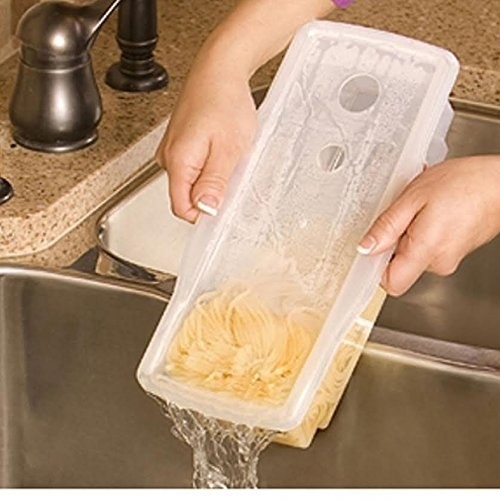 Get them from Amazon for $20.49+ (available in three sizes and 22 colors). 21. A tee to accurately express how you feel at any given moment. The shirts come in unisex sizes! Get it from Tee Me Please on Etsy for $20+ (available in 10 colors and sizes XS—3XL). 22. A Crock-Pot so you can make delicious food with practically zero effort. No one has time to meal prep when they need to catch up on sleep. 23. A makeup remover cloth that only needs water to lazily remove everything at the end of a long day. No more sleeping in last night's makeup! 24. Noise canceling headphones ideal for drowning out the busy, and often annoying, sounds of commuting. You're already tired, you might as well listen to some of your favorite tracks before your day fully starts. These were chosen as out low-price pick for the best noise-cancelling headphones on BuzzFeed Reviews! 25. A skin retoucher from Giorgio Armani designed to erase dark circles and any skin imperfections. I use this retoucher and really adore it. I feel like it's the best concealer I own, and have used it multiple times to cover up dark circles and breakouts possibly caused from lack of sleep. It's smooth, doesn't look heavy when it's on, and doesn't cake even after hours of wear. It fully covers up any redness or uneven skin tone. Get it from Sephora for $40 (available in six tones). 26. A temperature-regulating comforter for the hot sleeper who's losing minutes because they are TOO BUSY SWEATING!!!! This resonates with me personally, so I get very excited. This comforter is moisture-wicking, made from cotton, and machine-washable. Get it from BuzzFeed's Goodful line sold exclusively at Macy's for $175+ (available in twin—king). 27. 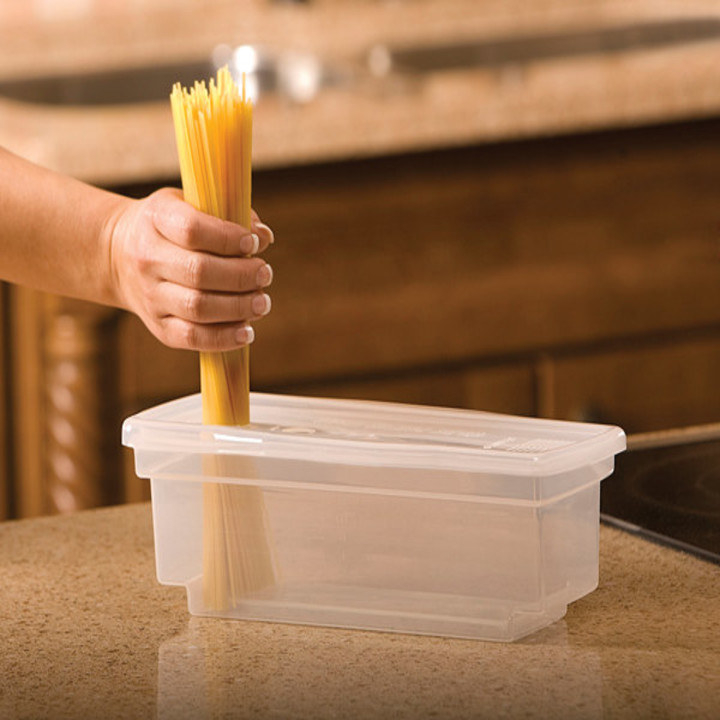 A microwave pasta cooker so you can enjoy a comfort meal without having to wait for water to boil. Also less effort = best effort. 28. A foot massager that'll help bring relief to aching feet since chances are you've been up and about for way too long. Get it from Amazon for $59.99+ (available in two styles). 29. Or a back massager with six speeds, six nodes, and six modes. This device will provide a deep tissue massage to restore tired muscles. Yes, please! This massager can also work on your legs, feet, and neck. The battery can last up to 100 minutes, and has an indicator light to let you know when it needs to be recharged. The motor also has a safety feature to prevent overheating. 30. 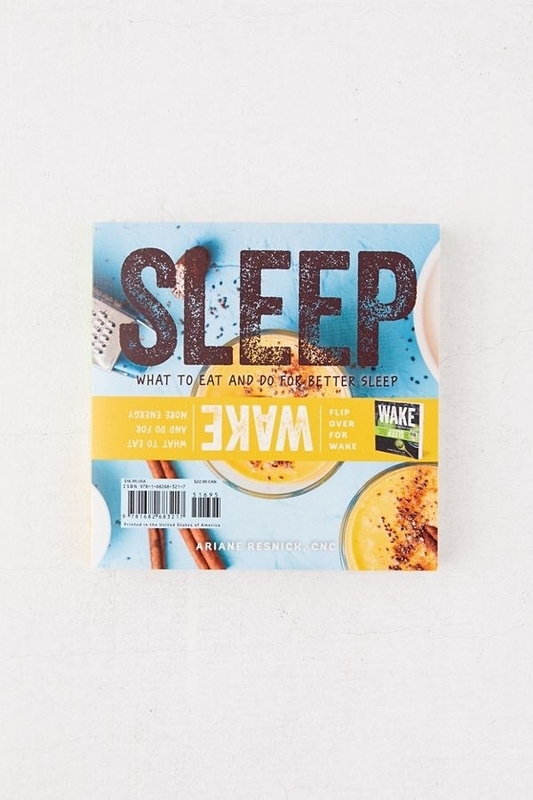 A book all about what to do and eat for increased energy and more restful sleep. 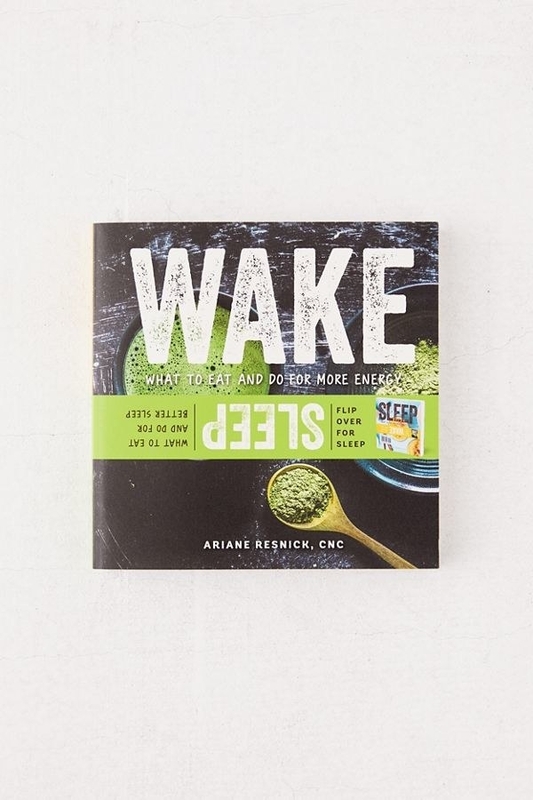 This book is a twofer, meaning one half has recipes while the other has DIY treatments for health and beauty. All you have to do is flip the book over to go between sections. Get it from Amazon for $9.99+, Urban Outfitters for $16.95, Barnes & Noble for $10.99+, a local bookseller through IndieBound, or find a copy at your local library. 31. A fleece robe to change into the minute you get home and no longer have to wear (ick) pants. Get it from Amazon for $24.99+ (available in 26 styles and sizes S—XL). 32. And finally, a Tuft & Needle pillow because when you're this damn tired, you deserve to come home to a high quality pillow. This pillow was chosen as the high-price pick for the best pillows on BuzzFeed Reviews! Get it from Tuft & Needle for $75+ (available in standard or king).